There was this dialogue in the movie ‘Rang De Basanti’ mouthed by R Madhvan when he is having a heated discussion with Aamir Khan and other actors in the movie about the responsibility of an Indian towards his country and the dire need to bring about a change in our thought patterns. What he says has stuck with me and it just feels right to share it with you all right now. Madhavan who plays the role of Capt. Ajay Sharma, a pilot who loves his country asserts, “Ghar kii safaai mein haath kon karein?.” His rhetorical tone leave everyone dumbfounded. The statement resonates with our countrymen totaly. They complain how dirty our country is and how awfully filthy the roads are only to be one of the many litterbugs. Thanks to our Hon. 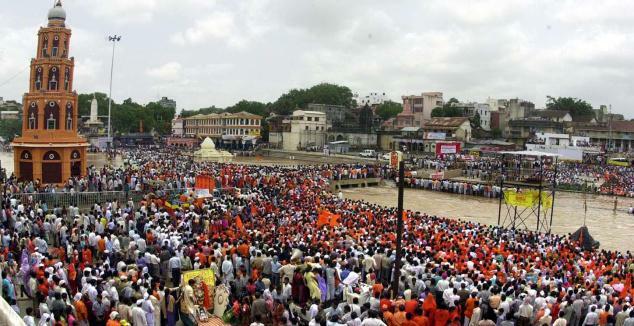 PM Narendra Modi whose brainchild Swachch Bharat Abhiyan which has caused a wave of revolution in the country and Nashik has also climbed the bandwagon in a big way. The youths and students of Nashik youth influenced by Swachch Bharat Abhiyan called upon Nashikars for cleanliness drive and sweeped through the entire stretch of College Road. Volunteers of the Hausla NGO in Nashik congregated today across College Road,Nashik and launched the cleanliness drive in Nashik. A human chain comprising of over 30 volunteers cleaned College Road end to end. They were armed with brooms. Although most of the volunteers had their faces covered with masks, their grit and determination shined through. 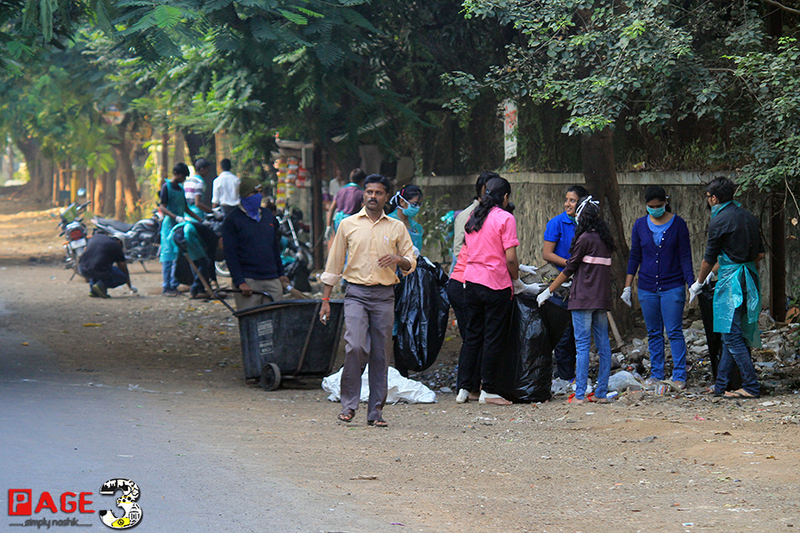 The cleanliness drive began at 7:45 am from Reebok Showroom College Road. 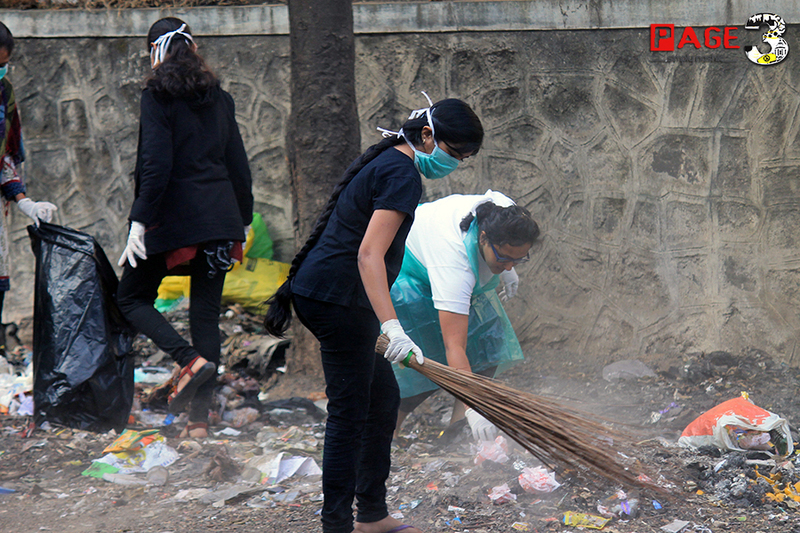 The volunteers worked tirelessly until they had meticulously cleaned the roads. 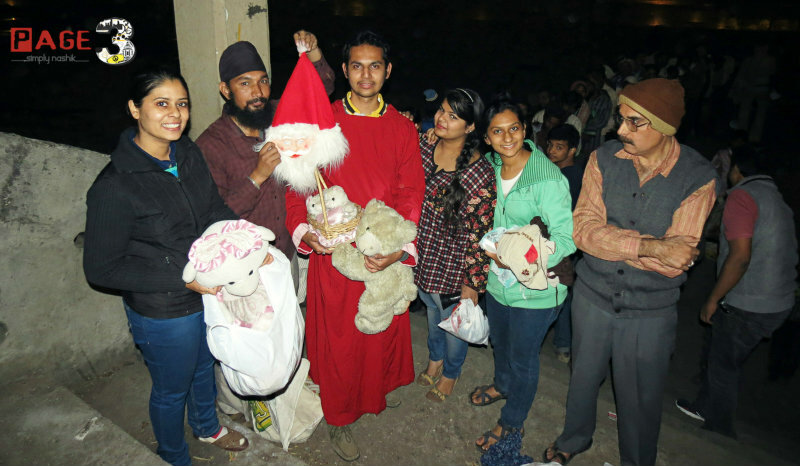 Volunteers of all age groups were a part of the drive. 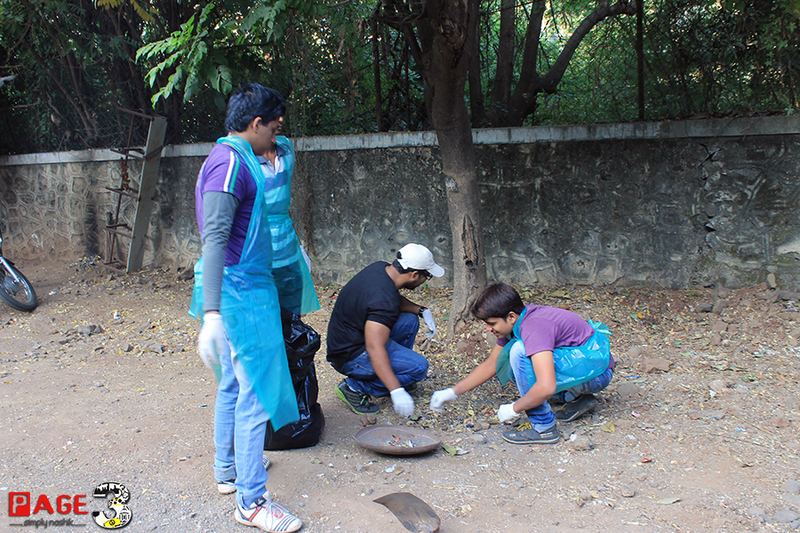 Hausla is always on the forefront when it comes to activities pertaining the environment. 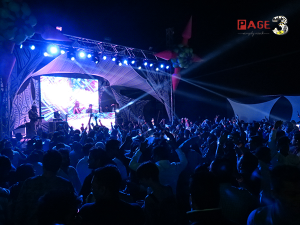 Page3 Nashik is proud of them and wishes them good luck for all their endeavors.